New York Times bestseller and “the best fiction writer in the country” (Bill O’Reilly, New York Times bestselling author) James Lee Burke returns with a powerful novel in the Holland Family series, an atmospheric coming-of-age story set in 1950s Texas, as the specter of the Korean War looms. On its surface, life in 1950s Houston is as you’d expect; stoic fathers, restless teens, drive-in movies, and souped-up Cadillacs. But underneath that surface lies a world shifting under high school junior Aaron Holland Broussard’s feet. The underlying class war between the haves and have nots is growing steadily, along with the menace of conflict overseas in Korea, providing a harrowing backdrop to his growth to manhood. But when Aaron spots the beautiful Valerie Epstein at a drive-in, he steps in when he sees her fighting with her boyfriend, Grady Harrelson. Aaron’s newfound confidence helps catch Valerie’s eye, and the two begin dating. Grady is a live wire though, and presents a looming problem for Aaron. You will recall the feelings and inspirational power of your first love, and empathize with Aaron’s extraordinary challenges to protect himself and the ones he loves in “this dark, atmospheric story” (Publishers Weekly). The Jealous Kind illustrates how first loves, friendship, violence, and power can alter what traditional America means for the people trying to find their way in a changing world. 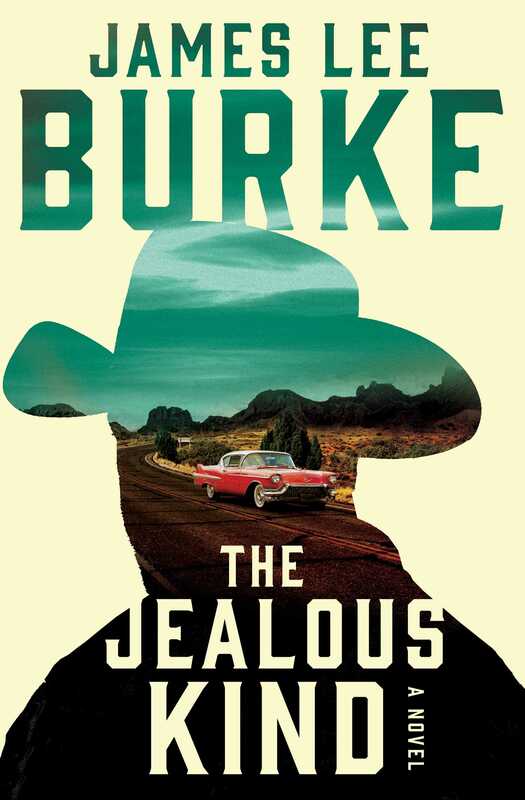 This reading group guide for The Jealous Kind includes an introduction, discussion questions, ideas for enhancing your book club, and a Q&A with author James Lee Burke. The suggested questions are intended to help your reading group find new and interesting angles and topics for your discussion. We hope that these ideas will enrich your conversation and increase your enjoyment of the book. In 1952, Houston, Texas, is as much a city of souped-up pink convertibles and Friday-night ice cream dates as it is a backdrop for violent class warfare and horrendous crime. As seventeen-year-old Aaron Holland Broussard discovers, offending the wrong person—in this case, Grady Harrelson, the son of one of Houston’s wealthiest men—can have deadly consequences. When Aaron gets between Grady and his girlfriend, the beautiful Valerie Epstein, he sets off a chain of events involving the darkest elements of Houston’s criminal underworld—a trajectory that tests his courage, honor, and capacity for violence. 1. How does Burke’s portrayal of postwar Houston challenge or complement your preconceived notions about this time period? 2. In the opening scene of The Jealous Kind, Burke writes, “My experience with the jellyfish seemed to characterize my life. No matter how sun-spangled the day might seem, I always felt a sense of danger.” How does this statement set the stage for the rest of the novel? 3. While Aaron’s entrée into Houston’s criminal underworld is inadvertent, he doesn’t shy away from conflict with Grady and Vick Atlas; in fact, at times he dives headlong into the tension. Do you find Aaron sympathetic? What would you do if you were in his shoes? 4. The Jealous Kind takes place in the long shadow of both World Wars and in the midst of the Korean War. Discuss the legacy of wartime violence in the novel, and how the heroic tales of an older generation of veterans impact Aaron and his peers. 5. The fathers of Aaron, Saber, Valerie, and Grady all loom large in their respective lives. Compare and contrast how each of these characters are defined, inhibited, or inspired by their fathers. 6. What is the significance of Aaron’s “spells”? Do you think his memory loss makes him an unreliable narrator? Why or why not? 7. Discuss Burke’s portrayal of class conflict in The Jealous Kind. How are the characters defined by their socioeconomic status? What unlikely alliances bridge differences of class, religion, and race? 8. As two of the most important people in his life, Saber and Valerie exert a certain influence over Aaron’s decision-making; however, they don’t always see eye to eye. How do Aaron’s loyalties shift over the course of the novel? Do you agree with his treatment of Saber, in particular? 9. Aaron’s coming-of-age as a friend, lover, and son is at the heart of The Jealous Kind. How does Aaron evolve over the course of the novel? What major plot points shape his character development? 10. Aaron narrates the novel from an undefined moment in the future. How did his retrospective commentary impact your reading of the novel? Why do you think Burke chose to frame the narrative in this way? 11. The Jealous Kind features a vibrant cast of secondary characters, from the seductive and damaged Cisco Napolitano to scrappy Saber Bledsoe. Which character was your favorite, and why? 12. On p. 90, Valerie tells Aaron, “Some people are the jealous kind. . . . They don’t love themselves, so they can’t love or trust anyone else. There’s no way to fix them.” In light of this statement, what do you think is the significance of the novel’s title? Which characters are “the jealous kind”? 1. Read another novel in the Holland family series (http://jamesleeburke.com/books/holland-family-stories/) for your next book club meeting. How does this novel complement The Jealous Kind? Which did you prefer? 2. Look up the Houston neighborhoods mentioned in the novel and conduct a virtual tour via Google Maps. How does present-day Houston compare with Burke’s rendering in The Jealous Kind? 3. Cast your film version of The Jealous Kind. Which actors would you want to play the main characters, and why? 4. 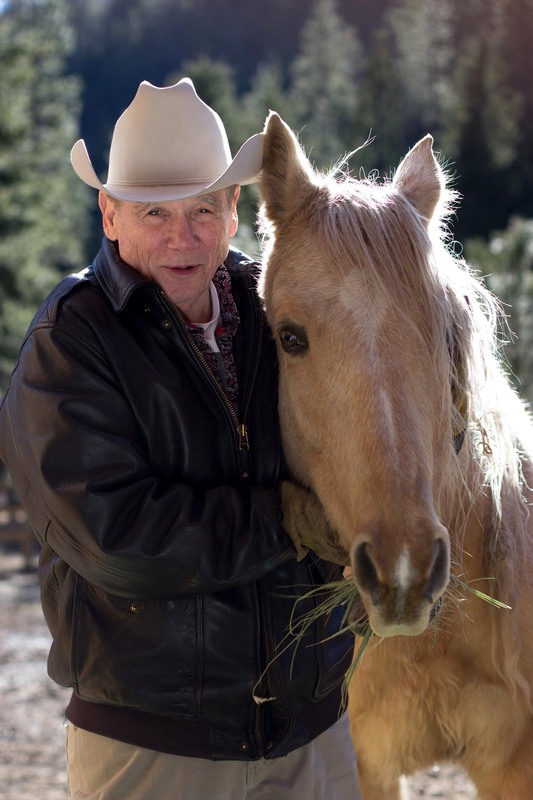 Learn more about James Lee Burke by visiting his website (www.jamesleeburke.com) or following him on Twitter (@JamesLeeBurke). What was your inspiration for The Jealous Kind? I wanted to write a book that I believed was an accurate portrayal of the 1950s. I believe most of the books written and the films made about that seminal decade are fictions. As a Houston native, did you draw on aspects of your own life to write this novel? The characters and events in a story have their inception in the unconscious. Art is a different kind of reality and in many ways is more truthful than factual reality. Aaron Holland Broussard is one of my favorite protagonists. He’s an emblematic figure rather than a biographical one, as are the other players in the story. Can you tell us a bit about your writing process? Does it vary from novel to novel, and has it evolved over time? My writing habits have never changed. I start in the morning, work into the afternoon, rest for a bit, and work some more. I also work in the middle of the night. I do this seven days a week until the book is finished. I can write a book this way in about one year. While you’re best known as a novelist, you’ve worked in a number of different industries over the years. Has your diverse work experience shaped your writing, if at all? Yes, I learned a great deal in the oil fields of the Deep South and also as a case worker in Los Angeles. I also learned a great deal about how the poor are exploited. If you could choose one message or lesson for readers to take away from The Jealous Kind, what would it be? Love is eternal. So is courage. And sometimes we find both virtues in unexpected sources. Which character in The Jealous Kind was the most challenging to write? Which came the most easily? The characters all seemed like old friends. Each took on his own face. This was a novel that seemed to write itself. During its progress I felt more like a spectator than a creator. Historical context plays an integral role in The Jealous Kind. How much do you think Aaron is a product of his time and place? What aspects of his character are universal? Aaron, like many of my protagonists, is the everyman of the medieval plays. He’s decent and good and feels unloved and alone until he finds the love of his life, Valerie Epstein. The story may seem historical, but actually it is not. The 1950s were an emanation of the 1920s, and the latter was the more American decade of our history. History doesn’t repeat itself; it is a continuation of itself. Super nation arrived a century ago. We’ve simply replaced the original cast. When you write, do you picture a particular kind of reader? Do you write for a certain audience, or does an imagined reader not play a role in your writing process? I think every good writer addresses himself to what is best in people. That way he is seldom disappointed by the reception of his work. Readers of books are loyal, decent, intelligent, and enjoyable to be with. Could one have a better constituency? Who are your biggest literary influences? John Neidhardt was my first creative writing teacher. I also had a creative writing teacher named William Hamlin, an admirable man to whom I owe a tremendous debt, although he was not a writer. The writers whom I read the most were Hemingway, Steinbeck, John Dos Passos, James T. Farrell, Thomas Wolfe, Jack Kerouac, Somerset Maugham, Flannery O’Connor, and Tennessee Williams. I was also heavily influenced stylistically by the Jesuit poet Gerard Manley Hopkins. When planning your next novel, how do you decide which series, if any, you will work on? I never plan a novel and never where it is going and never see more than two scenes into its development. When I finish a novel I sometimes have no memory of scenes I have written. This is the case with almost everything I have written. I just finished copyediting the galleys of The Jealous Kind and have no idea what my next project will be.